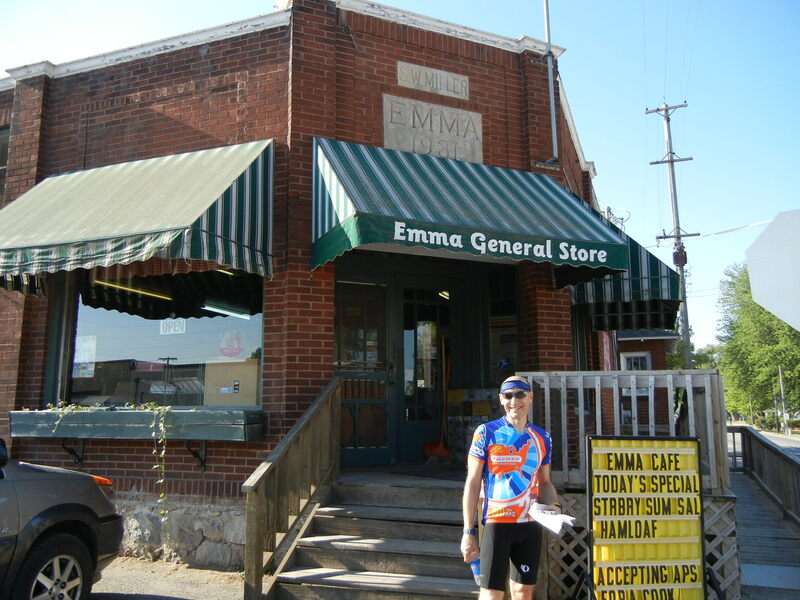 It’s our last morning in Middleton, and we have time for a 38-mile ride before we leave town. On our route again is Shipshewana, but this time we approach it from the south. All trains are good photo ops. 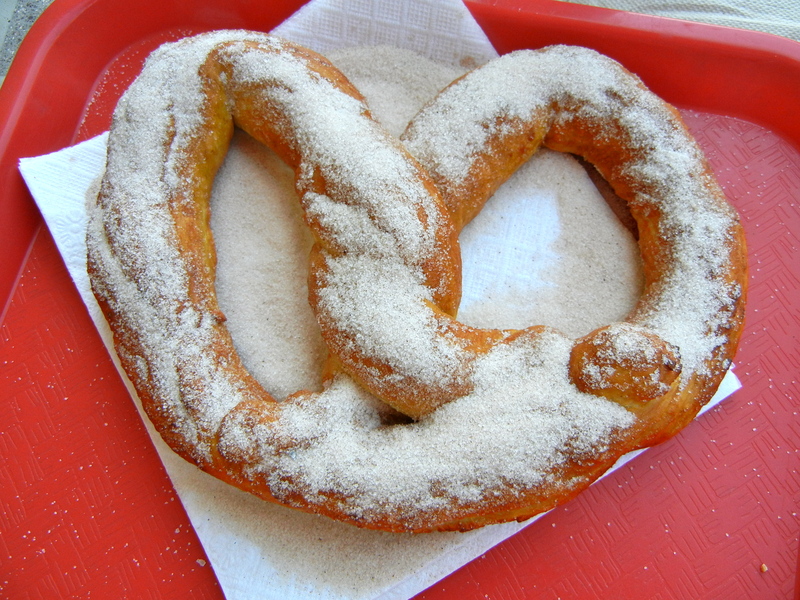 We are really here for one reason, the same reason we were here yesterday–pretzels! Pretzels, part 2, this time with cinnamon. 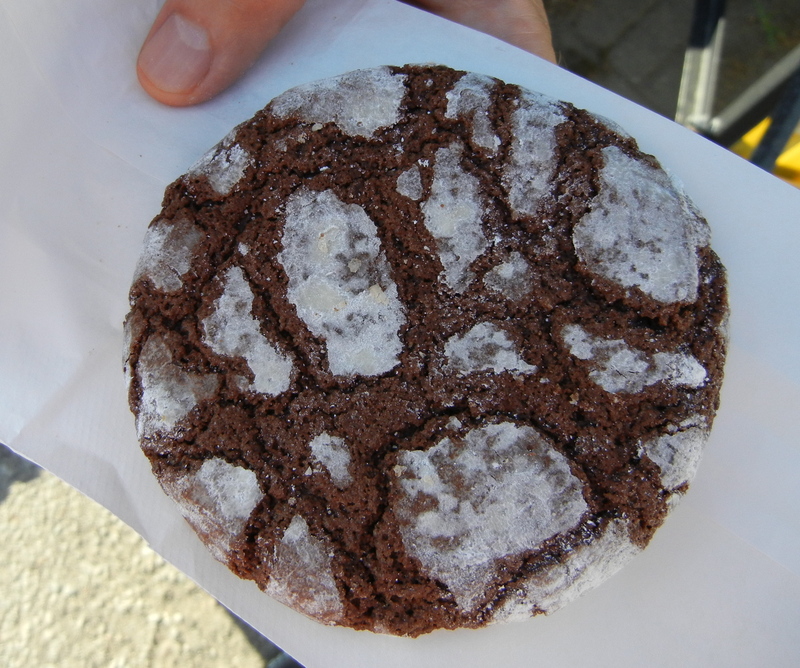 An unexpected store stop pops up at the 16-mile mark and we get an extra treat, a chocolate cracklin’ cookie, which we are told the Amish cookie lady has just dropped off. Our first rest stop has been here since 1931. We were going to eat half of it and save you a bite, but that plan did not work out. We are riding early today and it’s Amish rush hour. There are more buggies than cars, and they are all going to the market with their wares. They look at us a bit funny, but they are all very friendly and give us a smile and a wave. 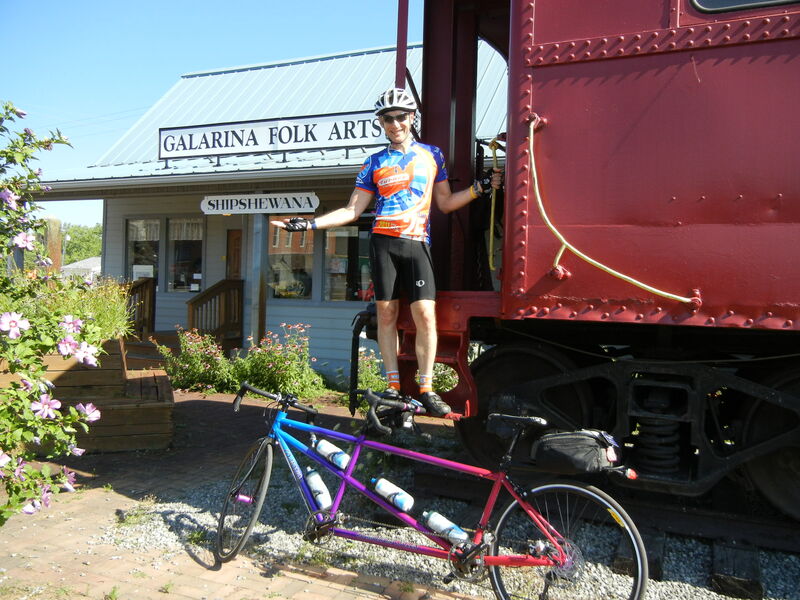 Since the Midwest Tandem Rally was here in 2010, we are sure that some of them remember the tandems from that summer. 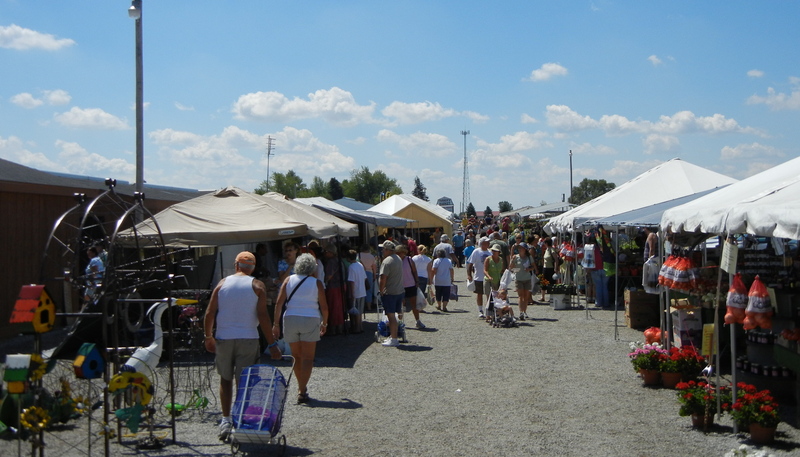 This is just a fraction of the flea market. 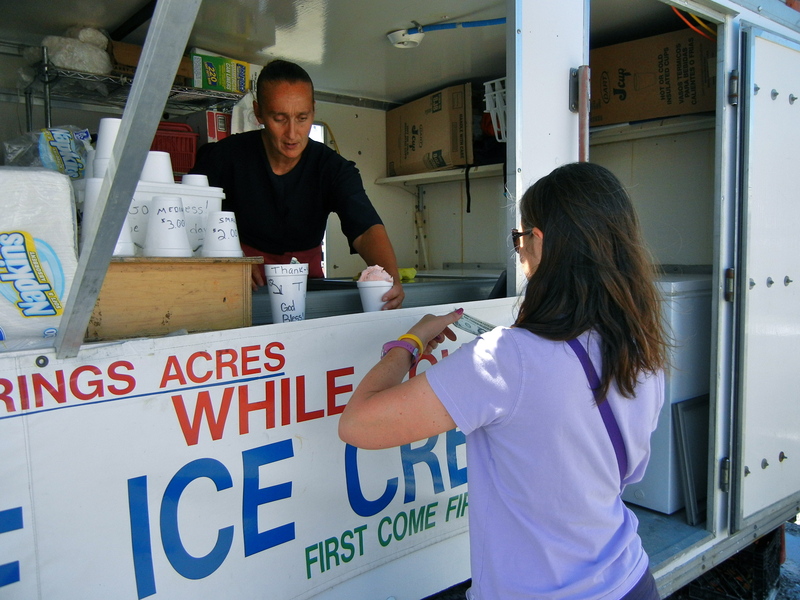 Anyway, we were expecting a few farmers with their goods, but instead we get acres of vendors and thousands of people, who have tuned the town into a traffic and parking nightmare. We get a good parking space and are overwhelmed by the size of this operation. 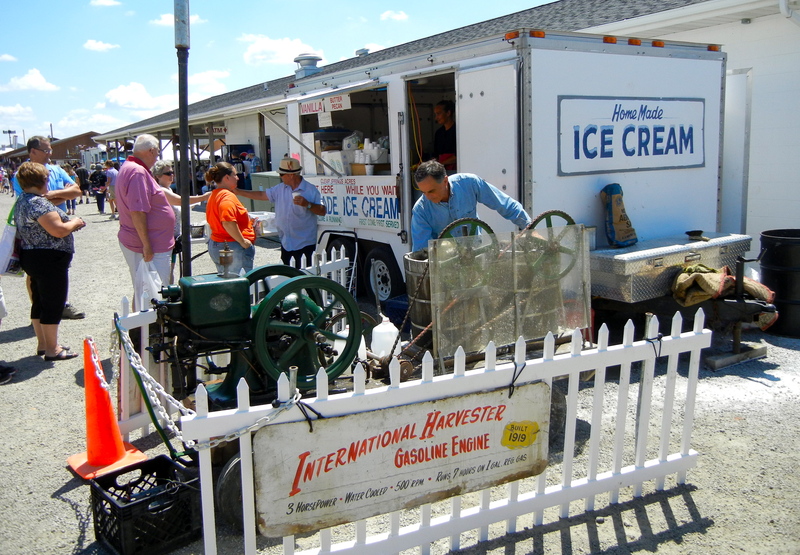 One thing at catches our eye is the ice cream being churned by a motor from 1919. The engine made quite the racket. Eve immediately gets in line for her treat. 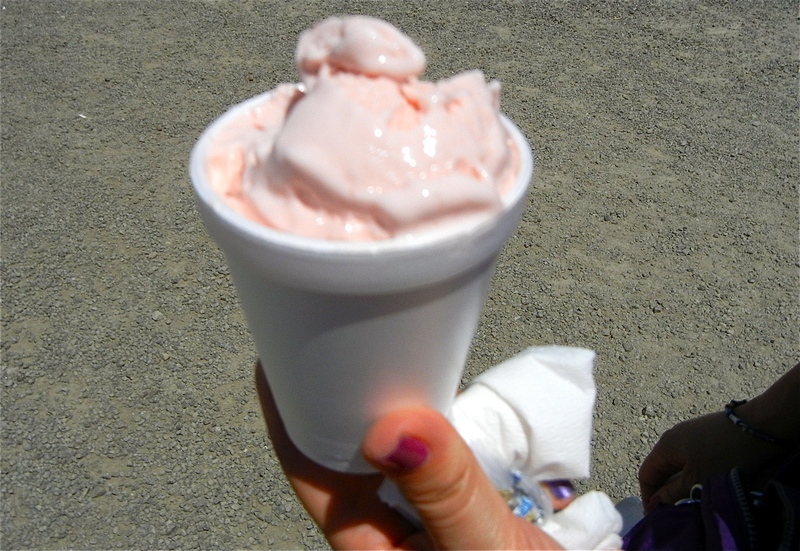 We consider ice cream a separate meal. We haven’t had lunch, but life is short, so eat dessert first. A little out of focus, but we wanted you to see it before we ate it. We can’t take much of the market madhouse, so we put our purchases in the car and head out of town. Our destination is Middleton, Wisconsin, where we will spend the next three days. On the way to Middleton, we see, the National RV Hall of Fame, the College Football Hall of Fame, and the Illinois Railroad Museum. We don’t stop at any of those, but we do have lunch at an Irish pub in South Bend, Indiana, home of the Notre Dame Fighting Irish. 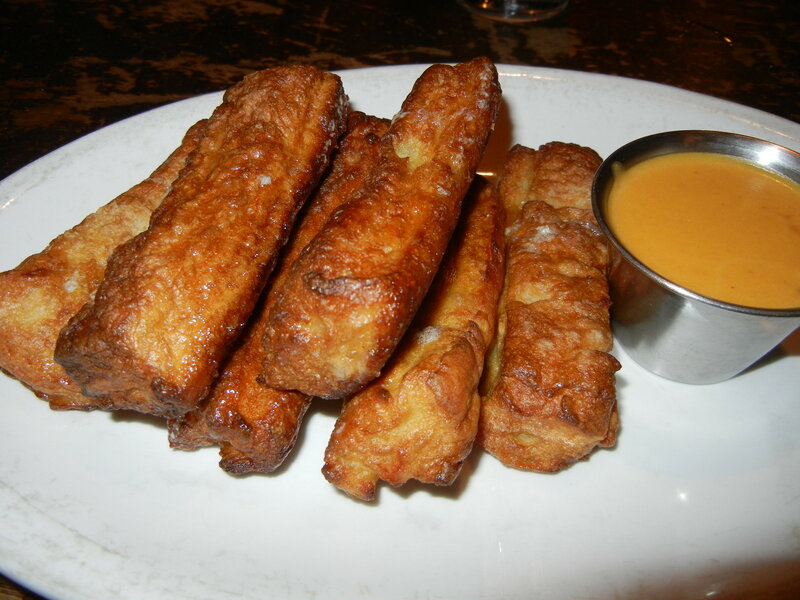 An interesting take on pretzels. More pretzels? Why not? 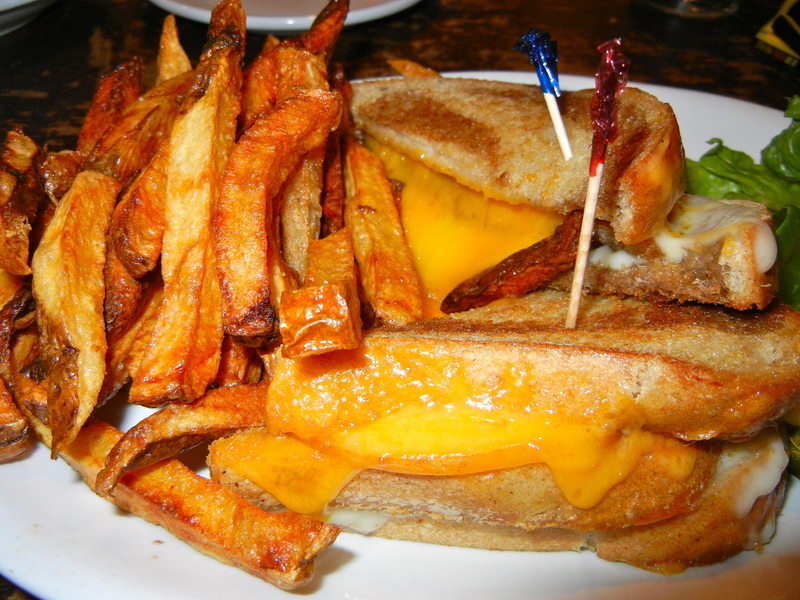 Grilled cheese! Yummy and gooey. 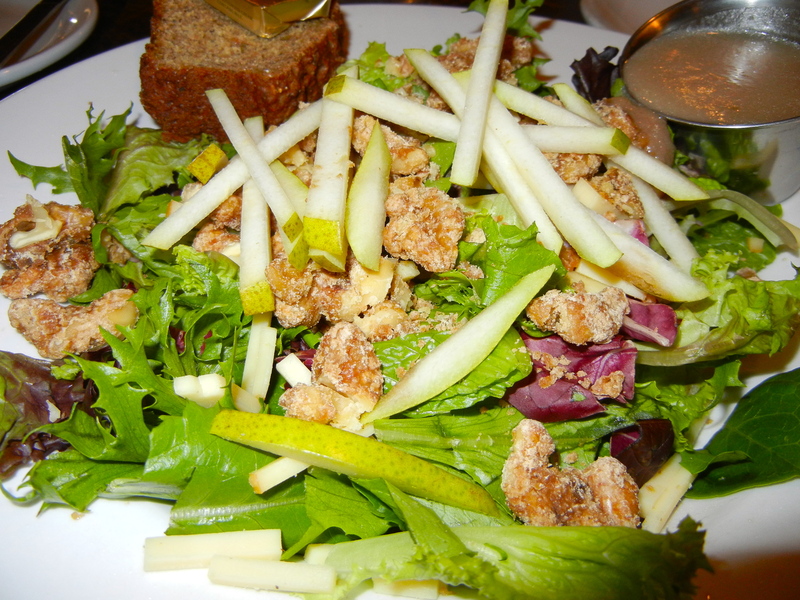 Pear and walnut salad. At least something at this meal was healthy. Our theme lunch over, we head over to the Notre Dame campus to check out the storied halls of their football stadium. Although I am NOT a Notre Dame fan, the campus is quite beautiful and all of the buildings are the same color as the stadium. 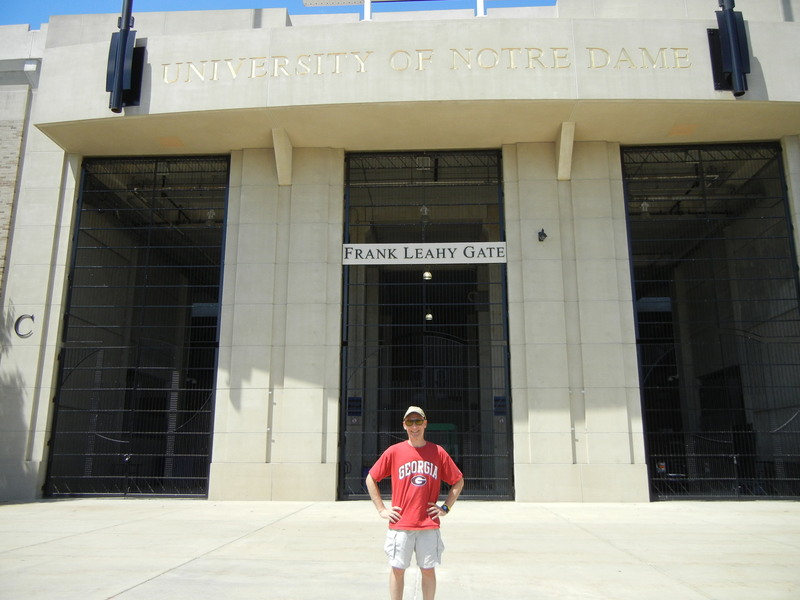 A Georgia fan at Notre Dame’s stadium. The architecture committee has done a fine job here, as the buildings all match, unlike my favorite college campus in Athens, GA where no two buildings are alike. On our 300-mile trip, we are amazed at the amount of tolls we must pay. It seems like every 10-20 miles, we are hit with a $1.90 toll, especially in Illinois. We go out of our way to avoid Chicago as it’s almost rush hour, but we still get nailed with tolls. It makes us thankful that we live in a state that is virtually toll-free. Dinner is at a tapas place in Middleton that gets rave reviews on Trip Advisor. We aren’t that hungry (see those photos above), so we share three small plates. 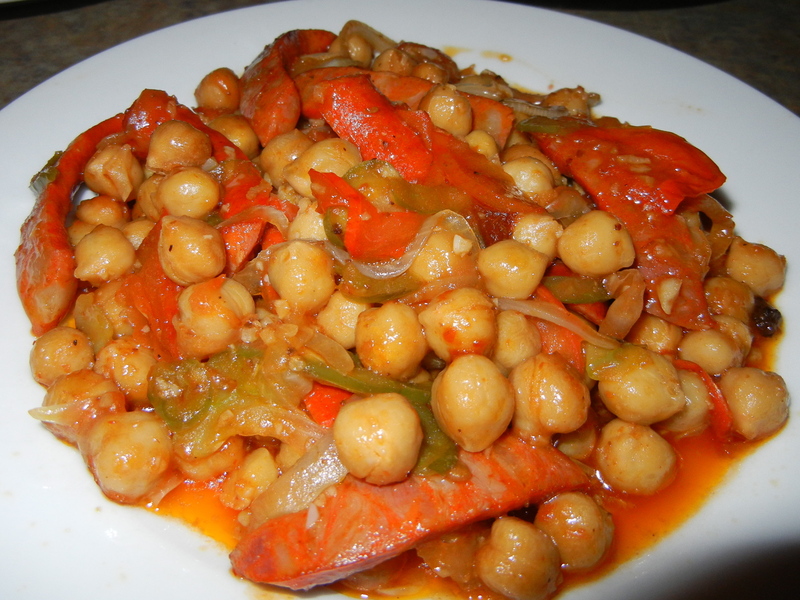 Garbanzo beans with chorizo sausage. Muy spicy. 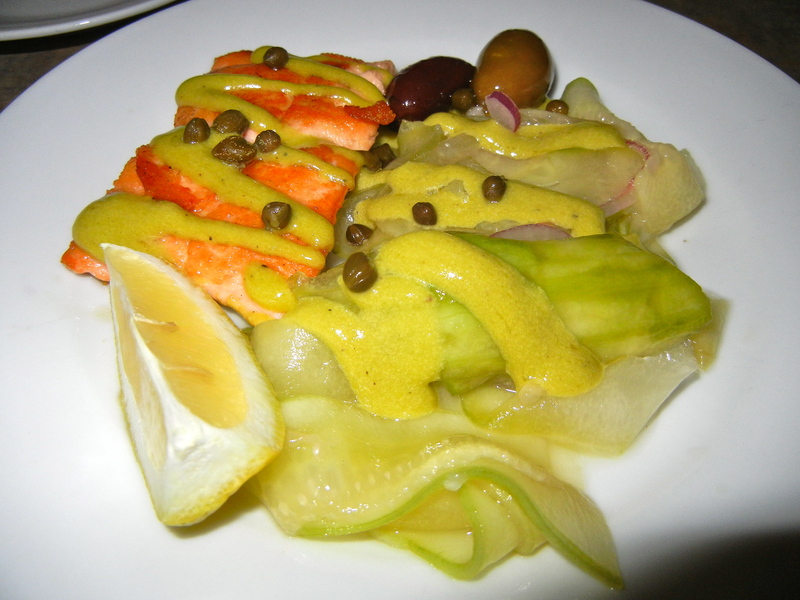 Salmon with pickled cucumber salad. Our favorite of the three dishes. 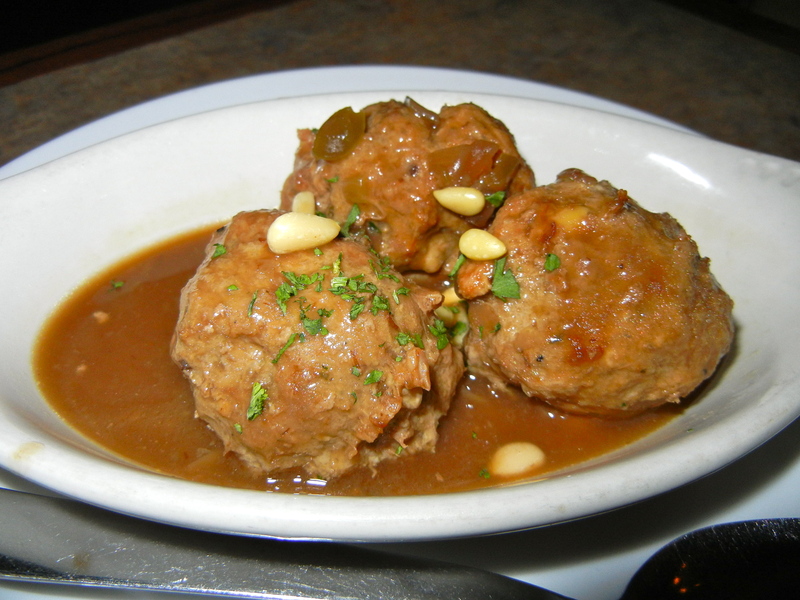 Chicken, pork, and beef meatballs. Tasted a lot like Swedish meatballs. 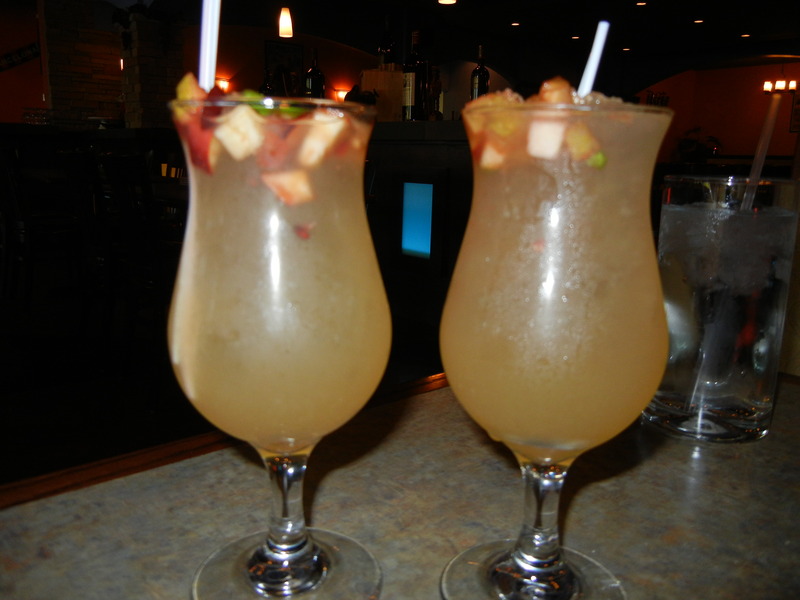 It’s two for one sangria night, so we get a couple of peach sangrias, which are good, but contain almost no alcohol. Twice the fun at half the price.